One of the most rewarding, yet absolutely the most challenging part of my parenting experience thus far, has arrived in my home. Now twice. One boy. One girl. One who is hyper and loud and cares so much for broken people that she often cries telling me about the kid in school that nobody talks to and how she tries to reach out. And then there’s my son who is extremely witty, but also so very quiet, introverted, struggles with depression and just happens to be the kid in his particular school that nobody talks to. One who is always rolling her eyes and telling me I’m mean. And one who constantly pulls me in for a hug as he towers over me and tells me he loves me and that I’m a good mom. What do I do when I wipe the tears from my teenage son’s face as he sits in the car after school crying to me because he feels invisible and worthless? What do I do when I am so exhausted beyond words from the constant attitude correcting and arguing with my daughter? I often have to turn my face to hide my own tears because I just can’t keep up with the high levels of deeply felt teenaged emotion of all kinds spewed in my direction on a daily basis. I don’t know how to fix their problems. I don’t know how to fix their attitudes. And honestly, I feel a little lost much of the time. As I’ve talked to God, begging him for fresh wisdom, the only reassurance he gives me is this. Ultimately, these teenagers who may think they know it all, really don’t. But they do have what they need. They need you, Mama. They may not always realize it or appreciate it. But your presence in their lives encourages them, makes them feel safe and gives them a voice for their very real frustrations. You are so very valuable for every stage of their lives, but you are necessary to this stage. Allow the Holy Spirit to work through you as you navigate these sometimes troublesome waters with them. 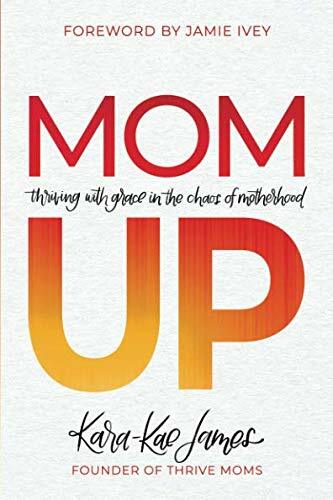 Don’t just wake up each day and play the mom role mindlessly, but wake up each day with confidence, stepping into a God-given assignment to love and nurture their growing minds, spirits, and bodies. Where do you struggle most in mothering your teenager? What does your teenager most struggle with during this season? How have you intentionally poured into their character development and spiritual development? Find a scripture that speaks most to you concerning each particular child and use that scripture as your basis for how you work with your child and pour into them. What questions have come up in your relationship or in their personal lives for which you don’t have answers? Ask the Holy Spirit now to be your guide and to give you wisdom in this specific area. Dear Lord. I thank you that you have given me this precious gift of mothering (teenagers name). I thank you that you have equipped me to handle all the concerns that arise as I continue to raise them for your glory. I pray Lord that the love you have placed inside me for my child will be so completely evident in every decision I make and every response I give to him/her. And when I feel weak and weary, I ask you to be my strength. I don’t want to rely on myself any longer. I thank you for your Spirit leading me and guiding me in those decisions where I feel clueless. Lord, I will continue to look to you and depend on you for (teenager’s name) is ultimately yours.